It's the start of fall, my favorite time of year to fly! 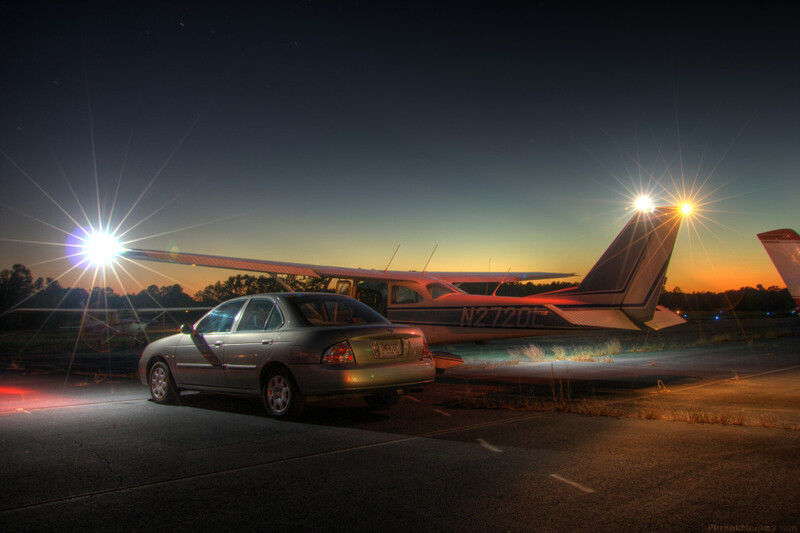 I've been wanting to do some night flying to practice night landings and get my currency back. This weekend provided absolute perfect weather to do so. I decided to go sightseeing over downtown, after checking some schedules to ensure there were no college/pro games going on. My only regret is that I landed before that amazing fall moon rose. 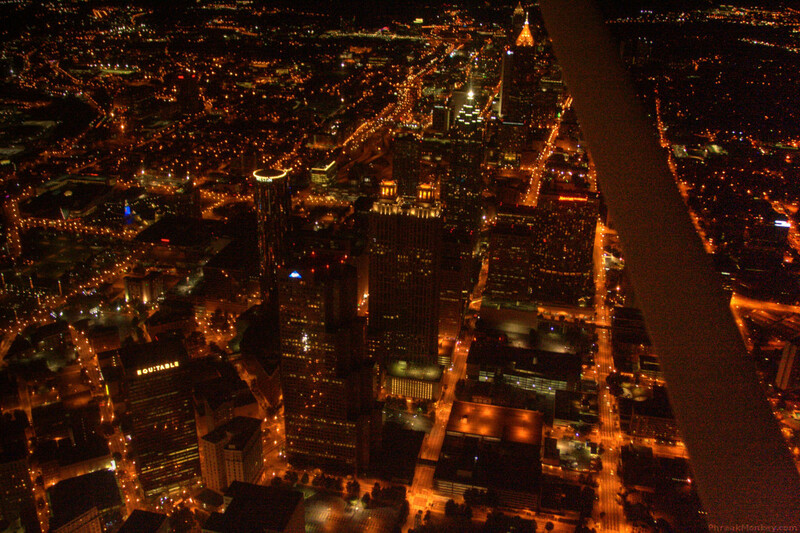 This flight also gave me the opportunity to try some night aerial photography with my Canon Digital Rebel XT. 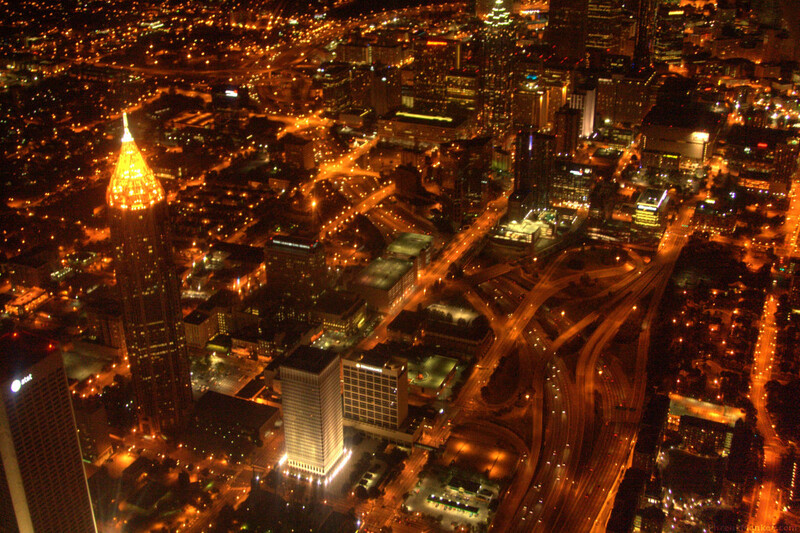 Â Previous attempts to take photos from a plane at night had proven fruitless, but this camera is much more capable than my previous ones - the results came out pretty good!